After his final school exams Markus Steckeler took lessons in his home town of Constance and at the jazz school in Bern before finally studying classical percussion at the music academy in Freiburg. 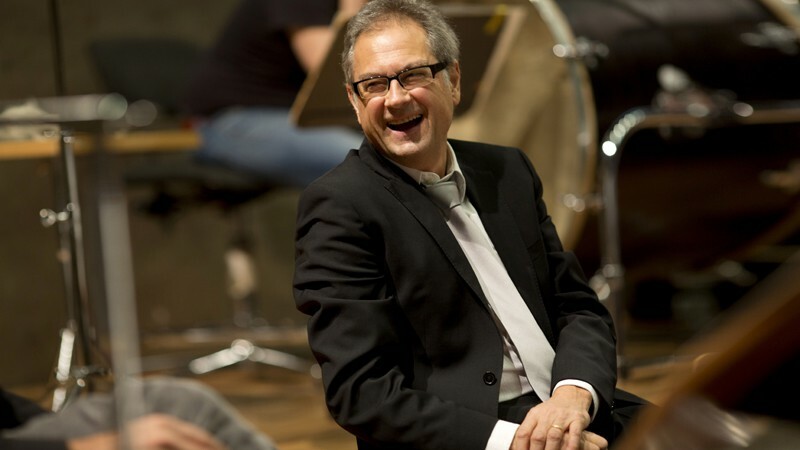 He has been a member of the percussion section of the Symphonieorchester des Bayerischen Rundfunks since 1981. Markus Steckeler also works as a chamber musician with the Ensemble Fagottissimo München and feels just as much at home in a big band as he does in a classical symphony orchestra. Our two orchestral members Natalie Schwaabe (flute) and Markus Steckeler (drums) meet and talk about their profession, an absolute “no-go” in the orchestra and unforgettable encounters with great conductors like Carlos Kleiber.